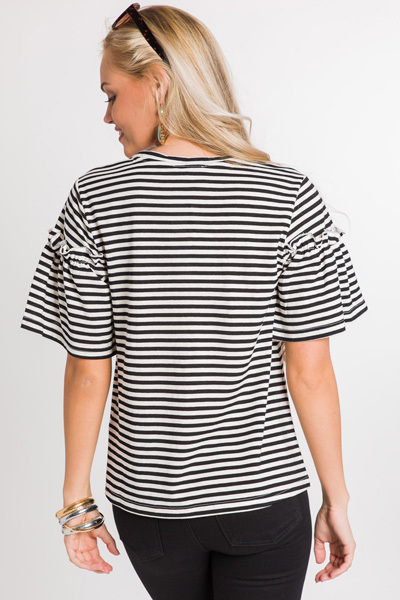 Tees like this are always the easiest option that keep you feeling cute and comfortable! 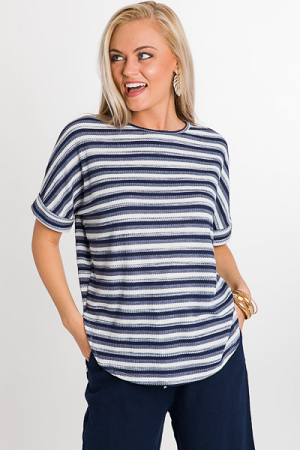 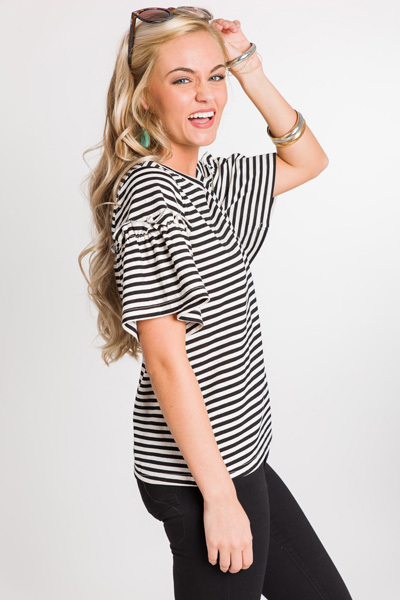 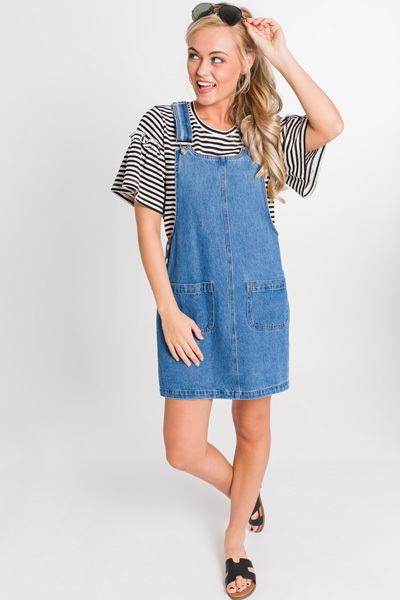 The classic stripes on this one get dressed up a bit with the boxy, ruffled sleeves. 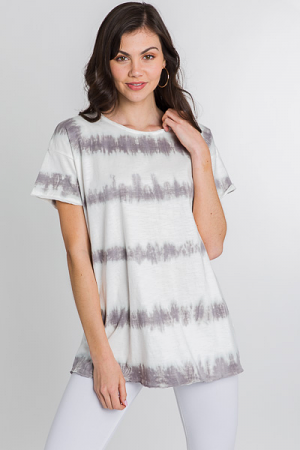 Rayon-blend.